All rents include utilities and fall under the guidelines of affordability set by the Province of Manitoba as well as being under the median market rent from rural southern Manitoba. The dormitory units range in price from $310 to $350 per unit. There are 10 rooms in the ladies wing, and 4 men’s’ wings with 6 rooms each. The tenants share a kitchen, laundry, shower, and bathroom facilities. Because of the shared services, the dorms are gender specific. DDCF is a separate organization from Parkland Crossing, but is a great tenant. They provide food every second Thursday, and clients are eligible to come every 4 weeks. During intake nights, a meal is served to people so that they do not have to use the supplies they get from the foodbank that night. The soup kitchen started out as a mission/project of the Dauphin Church of Christ, but now 3 other churches/groups are taking turns preparing meals and serving people. 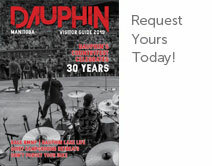 Dauphin and area provides tremendous support for the clothing room. There are more than 3000 pounds of clothes, sheets, towels, blankets, shoes, and jackets donated to the facility every month. The wardrobe received a grant from the Manitoba Community Services Council this year. For the first time there is staff available to open the room every weekday, and as a result the clothing output has increased dramatically. Walmart and Mark’s Work Warehouse send new clothes that they cannot sell at 70% discount. The playground was built in the basement, in what used to be the chapel during WCC days. Opened in 2007, it has seen thousands of children come through the doors. The playground is open for free Monday to Friday from 900 AM until noon to parents and children who need to get out of the house. The playground is also available to rent for birthday parties and other special occasions on evenings and weekends. 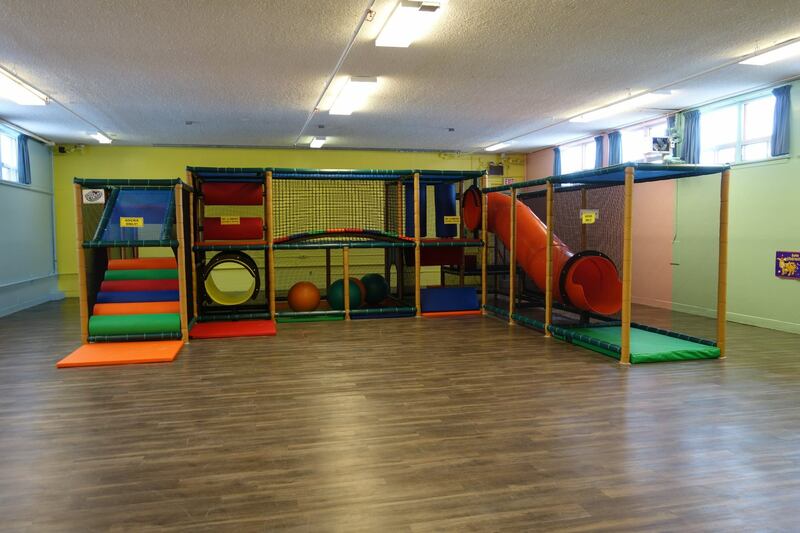 Broad community support was received this year to purchase a large play centre and replace the flooring. There is an age limit on the playground of 7 years old. All three Child and Family Service agencies use the playground on a regular basis for family reunification visits, for children in care to meet and interact with their parents. The playground got so busy with birthday parties in 2013 that we had to turn away family visits, which is much more important work. The family room was renovated and painted to become another place to have the important visits. The family room is one of the old classrooms in the basement. It is a small enough room that parents and children interact more, and a couch is available with a collection of books. One of the skills that I took for granted is reading to children. It is not the same as reading for you. This is one of the primary training sessions that takes place in the family room. The gym is rented regularly by the Dauphin Gymnastic Club, Special Olympics, an aerobics class, schools, a floor hockey group, and most recently a pickleball group. The gym is also rented for birthday parties for children (mostly boys) ages 8 and over. The WCC Legacy Fund provided funding in 2015 to purchase and install new flooring in these two rooms. The Church of Christ has its Sunday morning Bible class in the MPR and worship services in the Fireside Room. The MPR is also rented to a variety of agencies for training courses 5 to 10 days per month. The Western Christian College Legacy fund contributed to the renovation of these 2 room in 2015. The old cafeteria is used during every foodbank night and one or two other days per month when an agency needs a meeting space for 100 or more people. The kitchen is the least used part of our building, being used less than 30 times per year. Parkland Crossing is a diverse multi use facility that gives people the opportunity to experience God’s love and acceptance, and find ways to change their own lives. For more information about current activities and programs, or the 2016 fundraising campaign, contact the office at 2046383333 or parklandcrossing@wcgwave.ca. Wayne Olson is the community minister for the Church of Christ and can be reached at 2046386321.